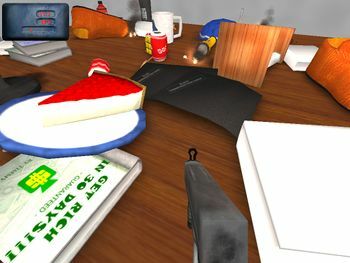 An image of one of the levels in the game. Klay World is a web series of stop-motion claymation videos made by Robert Benfer (AKA Knox). 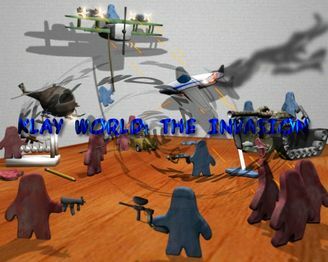 The show showcases a group of clay people (usually blue, but other colors aren't uncommon) and their antics atop the table that is their world. It's generally regarded as the codifier of internet claymation comedy, and most subsequent similar works tend to follow the same pattern. 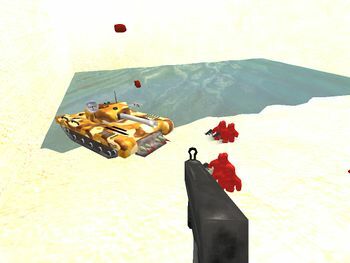 Klay World: The Invasion was a PC game based on the series, but sadly not much is known about the game. 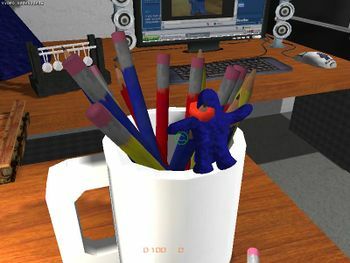 All that is known is that the game was uploaded on 2006 in Knox's old website known as knoxskorner, and was helped by a game company called Mocos Games. 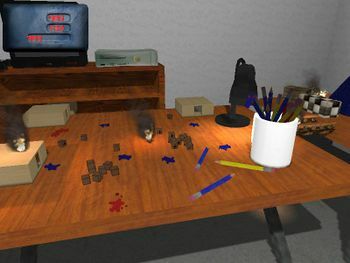 Not much is known about Mocos Games itself, but Klay World: The Invasion was apparently the only game they had ever made, as seen in their website, and their forum website. 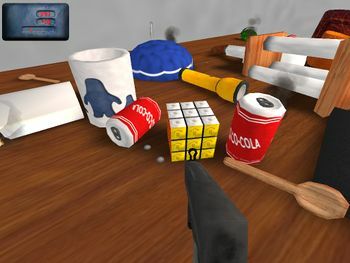 In their website, they say the idea was made by Knox, but Mocos Games design the game. 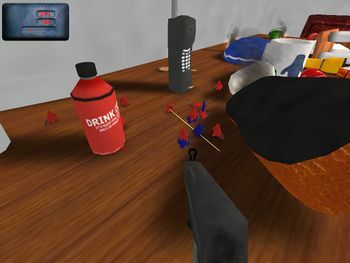 The game is a first-person shooter as you play as a blue klayman in a room on a table, killing red klaymans as you collect items like weapons, health, and ammo. 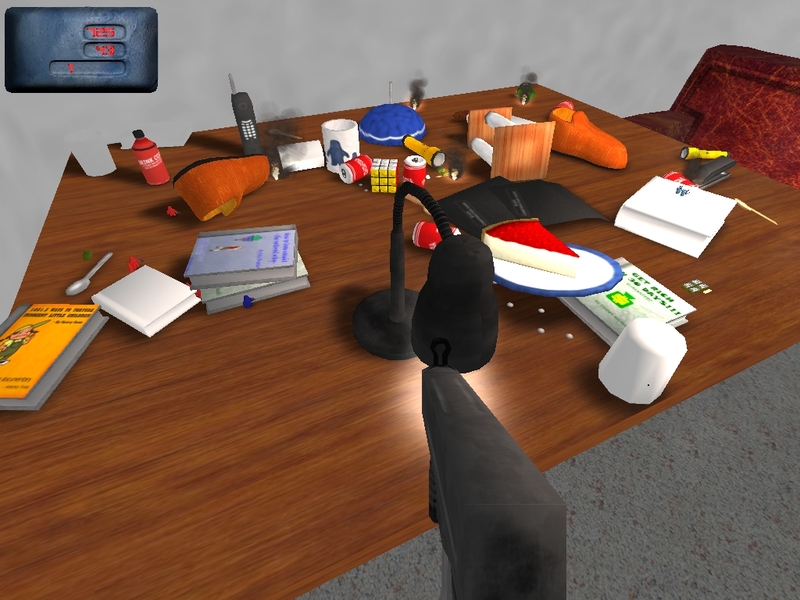 To beat the game, you have to meet another blue klayman with a hat under the table, and it will play a cutscene saying "You win!" The game is sadly no longer able to download, since Knox has deleted his website, knoxskorner, and nobody has found any other website that has the download link of the game, and Knox himself has not made any other comment about it. Mocos Games also seem to be completely abandoned by its creators. The game now can only be seen in a few screenshots by Mocos Games and a walkthrough on YouTube by a user known as thebonefamily.